Doesn’t stained glass always look so pretty with the light shining through it? 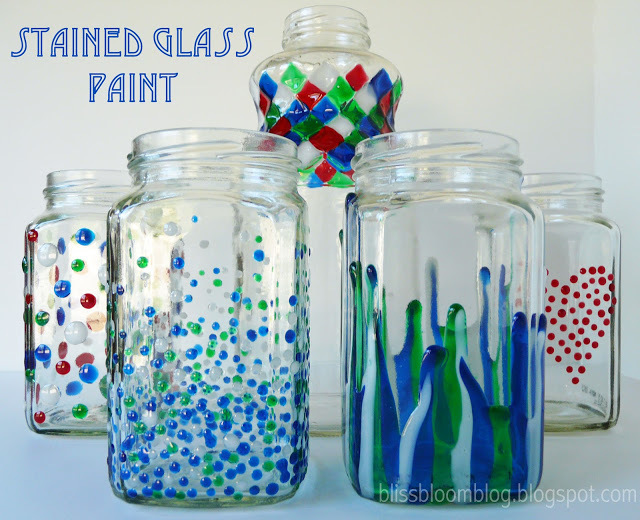 Upcycling an old glass vase or jar into a stained one will create a standout piece and it is so simple to do! These 5 diy stained glass vases and jars show you how easy they are to create. Don’t be put off by fancy intricate designs as there is even a simple way to add them to your vase! No matter your personal aesthetic there will be a stained glass vase, jar or bottle here that you will love! 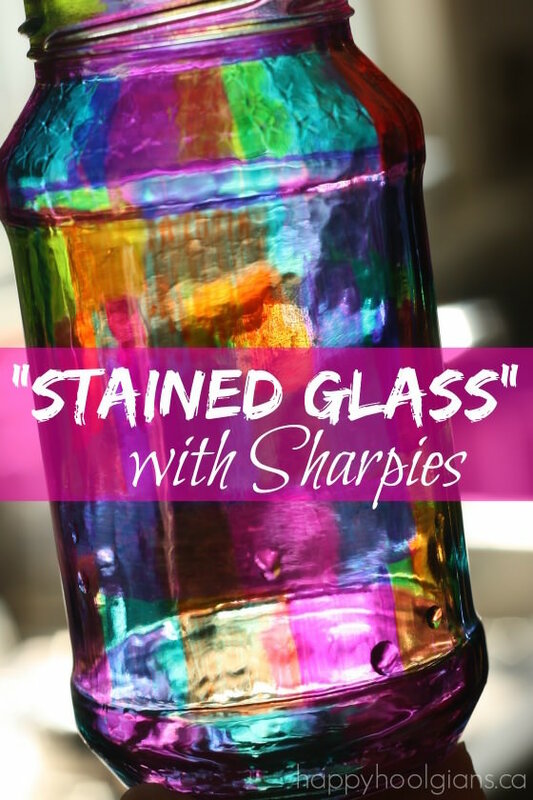 Bliss Bloom Blog show how easy it is to make amazing vases and jars by showing us her jars that she tested out stained glass painting on. She uses a dot method and drip method. We love the heart dot jar! 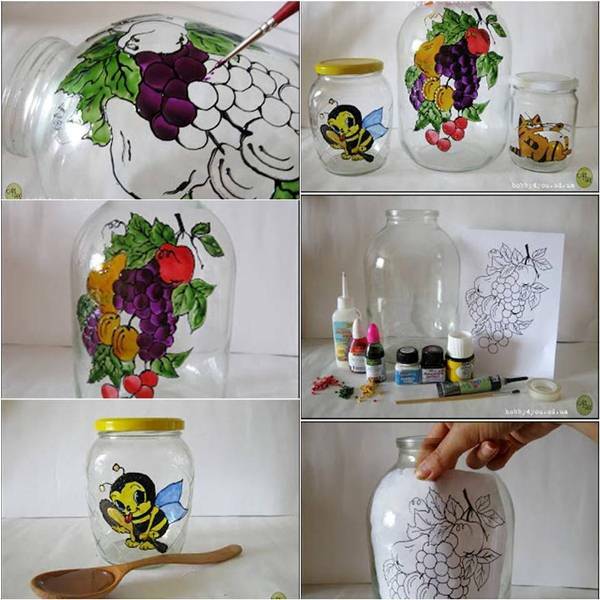 This drawing transfer method makes it simple to put amazing artwork onto jars and vases without having to be overly artistic. Click here to see the full photo tutorial. 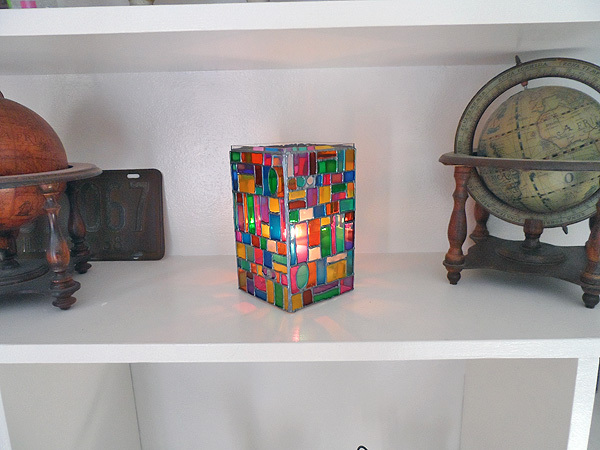 The colors used on this stained glass mosaic luminary are stunning. Having a candle in the center really makes the colors glow! Follow this link for the full tutorial. 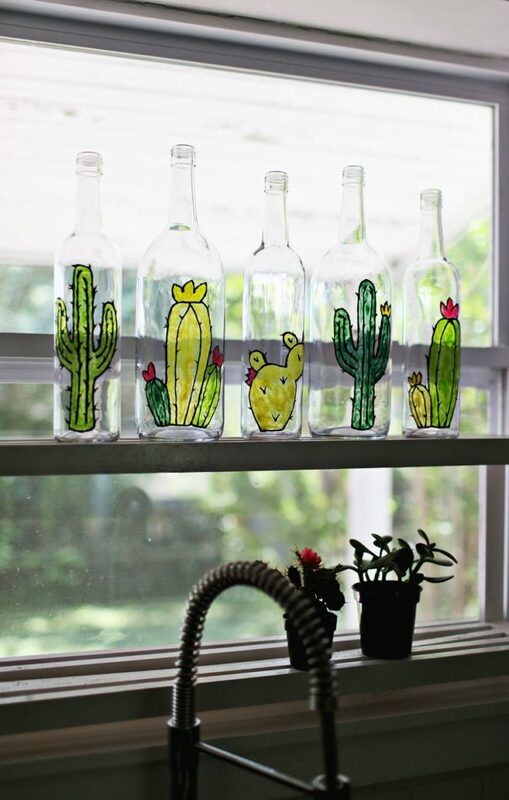 A fantastic tutorial for the cutest cactus bottles around. 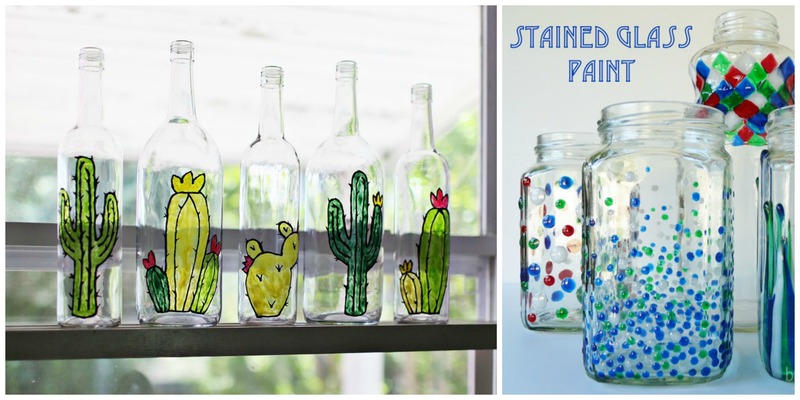 Sure this is a bottle but you can recreate your cactus images easily on a vase or a mason jar! Click here to find out more. Not keen on painting? Then this stained glass jar is for you! Colored using Sharpie pens this is a fun and easy project. Follow this link to find out more. Next Article 8 Quick & Easy Hairstyles That Make Dirty Hair Look Fab!